The crocuses are popping up everywhere, that means it must be spring, and spring means: Koningsdag. 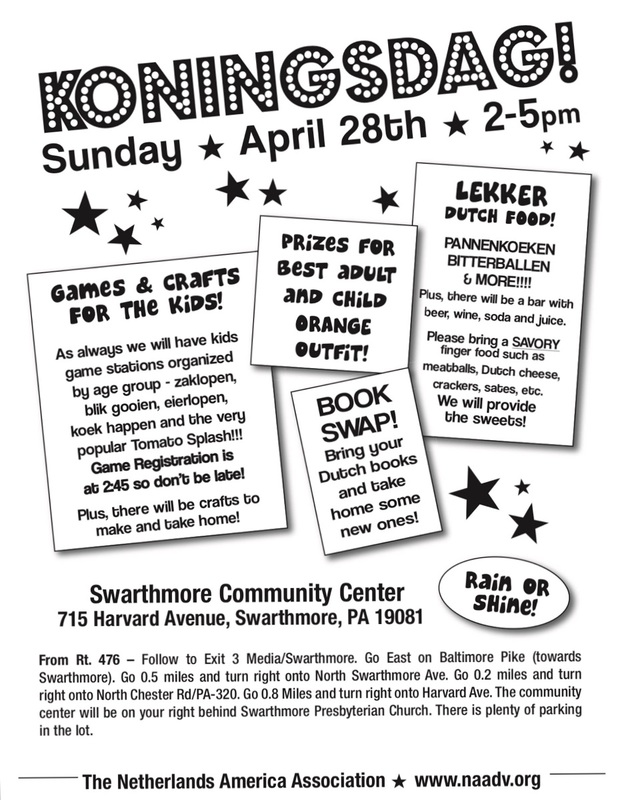 Mark your calendars: Sunday April 28 2-5PM. Ajax will be playing Juventus on Wednesday April 10th, we'll be meeting at Fado on 15th&Locust to watch. I have a few extra Ajax jerseys if anyone wants one. We are also talking with Dutch violinist Rosanne Philippens to see if we can do a pop-up performance. We'll keep you posted on that.